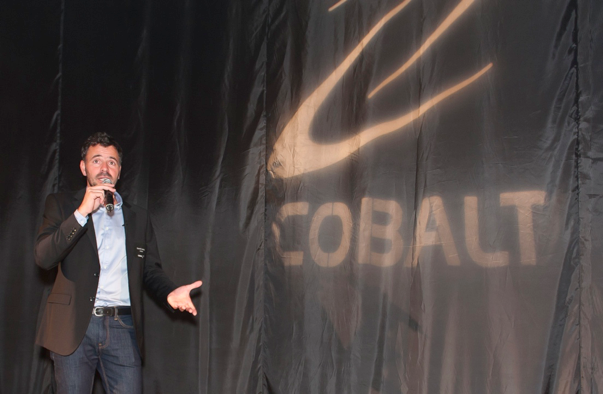 Cobalt CEO and founder David Loury came to Spark with the goal of launching his first private aircraft: the Valkyrie. As a new entrant in the highly competitive aviation space with an unknown CEO in Silicon Valley, the company had a huge awareness obstacle to overcome in order to inspire people to buy the Valkyrie, a futuristic aircraft priced at $699,000. 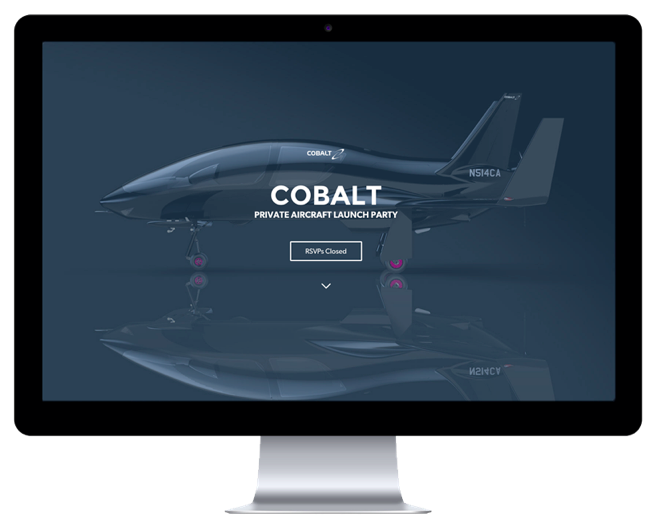 Spark worked closely with Cobalt to develop the right brand voice with differentiated messaging from legacy aviation companies. Spark also planned a VIP Cobalt launch party in San Francisco for investors, influencers, aviation enthusiasts, and journalists. Spark managed all the event details from a highly engaging invitational website and a targeted email campaign to food/drinks, lighting, and sound. Spark also set up an extensive media tour in New York and San Francisco, securing over 15 meetings with consumer, tech, business, and aviation media outlets. Spark approached Neiman Marcus and proposed that they feature a limited edition rose gold Valkyrie in its 2016 Christmas Book. 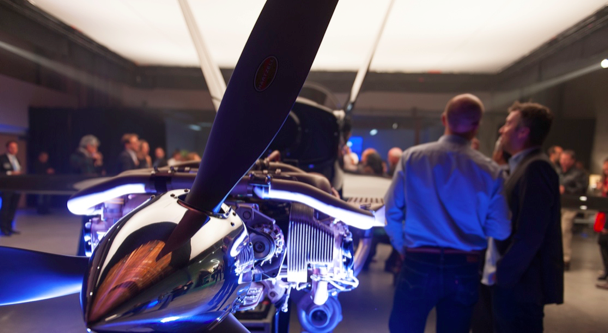 • Cobalt’s private launch party hosted over 100 attendees including investors, media, pilots, and aviation enthusiasts. • 13 top tier media stories broke within 24 hours. To date, over 90 media stories have published around the globe. • Cobalt was mentioned in top tier publications including: Forbes, TechCrunch, Wired, San Francisco Chronicle, Popular Mechanics, GQ, Huffington Post, Mashable and many more. • Garnered 185 million online impressions in the first week of launch; over 380 million impressions to date. • Cobalt secured $50 million pre-orders for the Co50 Valkyrie aircraft within the first 90 days of launch. • Cobalt’s limited edition rose gold Valkyrie will be prominently featured in Neiman Marcus’ 2016 Christmas Book in the Fantasy Gifts section, selling for $1.2 million. We’d love to learn more about the future of your business and explore how creativity and influence can deliver results that drive success.